How interesting it’s been visiting these Caverns and comparing them to the Carlsbad Caverns. The first and foremost difference is that these caves are wet, “alive”, and growing; whereas the Carlsbad Caverns are dry and “dead”, meaning they are no longer growing. And secondly, I think it’s pretty cool that these caves were only just discovered in 1974 by a couple of college students, one majoring in etymology and the other in geology. 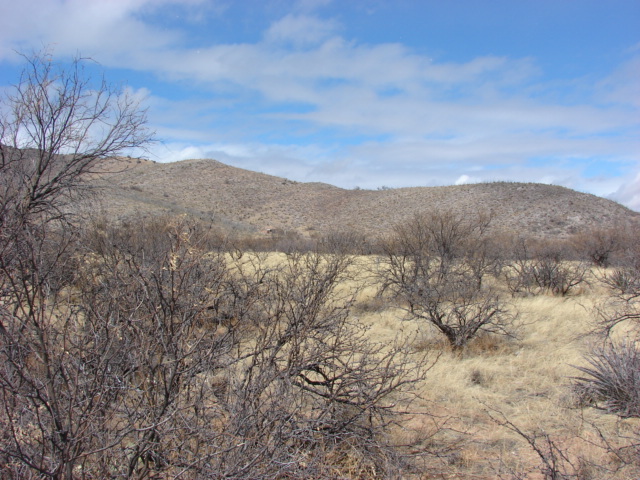 These guys spent their free time looking for caves as a hobby and passed by the small hills that house Kartchner Caverns many times thinking they were too small to be of interest. It was not until they decided to ask a local miner if he knew of any caves in the area that they were told about the sinkhole in the side of one of these small hills. The sinkhole led to a small two room cave that had evidently been visited by others before them. During the exploration of these two rooms, they came across a very small passageway that required them to squeeze through on their stomachs single file. At the end of this passage, they found a 6 inch hole in a rock wall from which warm, moist air flowed signaling the existence of a cave. After several hours of scraping at the hole, they were able to make it large enough to pass through. What they found was a pristine cavern. It wasn’t until 1978, 4 years later, that they told the property owners, The Kartchners, about their discovery. During the four years of secret exploration, the discoverers realized that the cave’s extraordinary variety of colors and formations must be preserved. 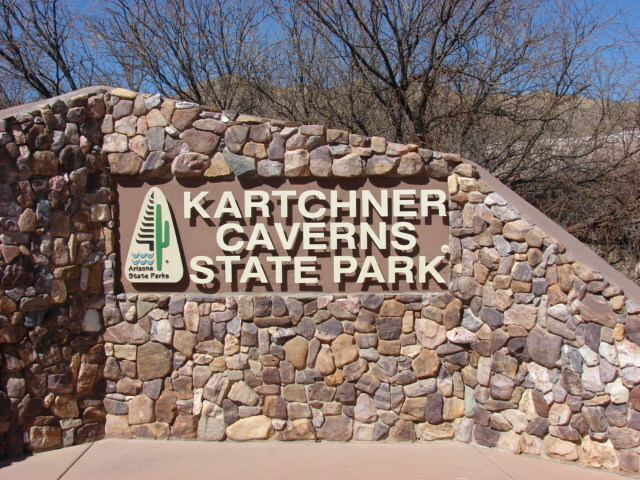 Tenens and Tufts, the college students, continued to explore the caverns and along with the Kartchners kept them a secret for 14 years, so it was not until 1988 that the cave’s existence became public knowledge when its purchase was approved as an Arizona State Park. The State then spent 11 million dollars developing the caverns taking extraordinary precautions to conserve the cave’s near-pristine condition. For example, the caves are not accessible to the public except through guided tours. Tourists are not allowed to take any personal items into the caves with the exception of a jacket. No cameras, no water bottles, no nothing. Because the caves are near the surface, the temps are in the upper 70’s and very humid, so if a jacket is worn, it is required that you roll it up into a rope shape and tie it around your waist securing any loose ends prior to entering the caves in an effort to cut down on lint. No flapping jackets dangling down about the knees in this cave. The contrast between the cave’s natural 99%+ relative humidity and the dry desert climate above make this cave particularly vulnerable. Unmonitored air exchange could quickly destroy the cave’s delicate ecosystem, halt growth, and diminish the cave’s natural beauty. Because of this, there are 6, yes 6, sealed doors that must be passed through to get from the outside to the caves within and at one point during this transition, one must pass through a misting system. You see, once misted with water, one is less likely to shed lint from clothing, dead skin, and/or hair while in the cave. Even with all these precautions, the cave is “washed” every night. The walkway inside the caverns was designed in such a way that it can be hosed down each night with the water held in reserve to water the plants in the Hummingbird Garden at the nearby Discovery Center. In addition to hosing down the walkway, if anyone inadvertently touches anything with hand or foot other than the stainless steel hand railing while in the cave, the guide will mark that spot with flagging so that the cave washers can pay special attention to the affected area. They even restored the original opening at the back of the sinkhole to 6 inches. This remains the only natural opening to the caves and is where air is exchanged and where the bats come and go. Boy howdy, do these guys take cave preservation seriously or what? I guess its good they do otherwise, they’d have a dead cave like Carlsbad before too long or they’d be vacuuming the lint off the formations like they do at Mammoth Caves. And here is a picture of the hills that hold the caverns. Very interesting! Thanks for sharing. We had never heard about them. Now we feel a magnet drawing us in that direction. Nice cave link and photos. Guess this cave was not open when I lived and toured around out west in the late 70’s and early 80’s. Would love to come back and see these, they sort of remind me of the caverns in Okinawa Japan, very shallow but still very active. Very neat the way AZ manages the caverns. Really enjoyed reading all the recent blog updates. Look forward to a California update and what it brings!